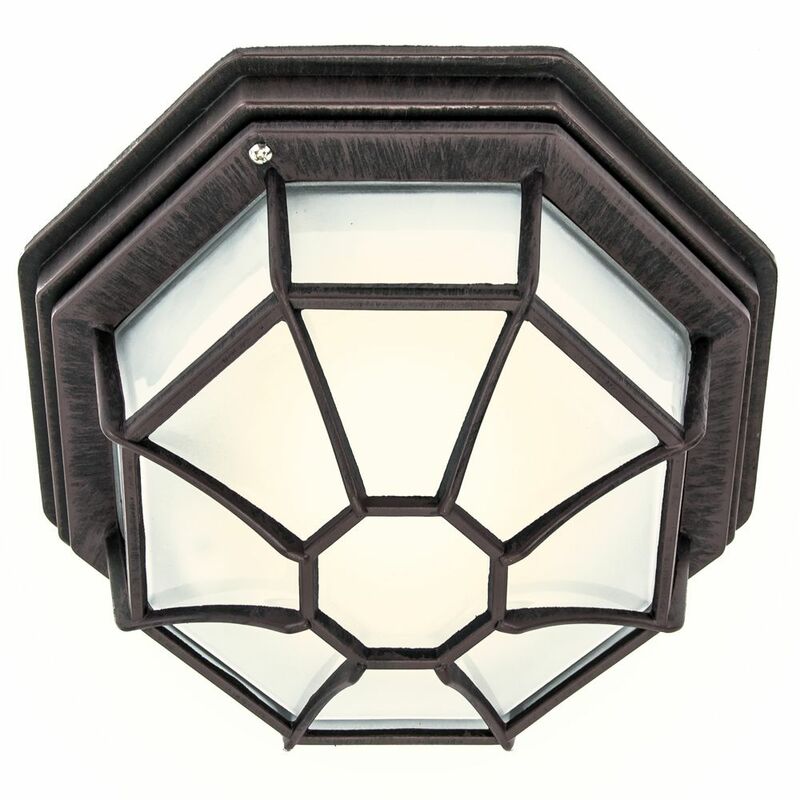 Rustic brown traditionally designed hexagonal outdoor porch ceiling light. 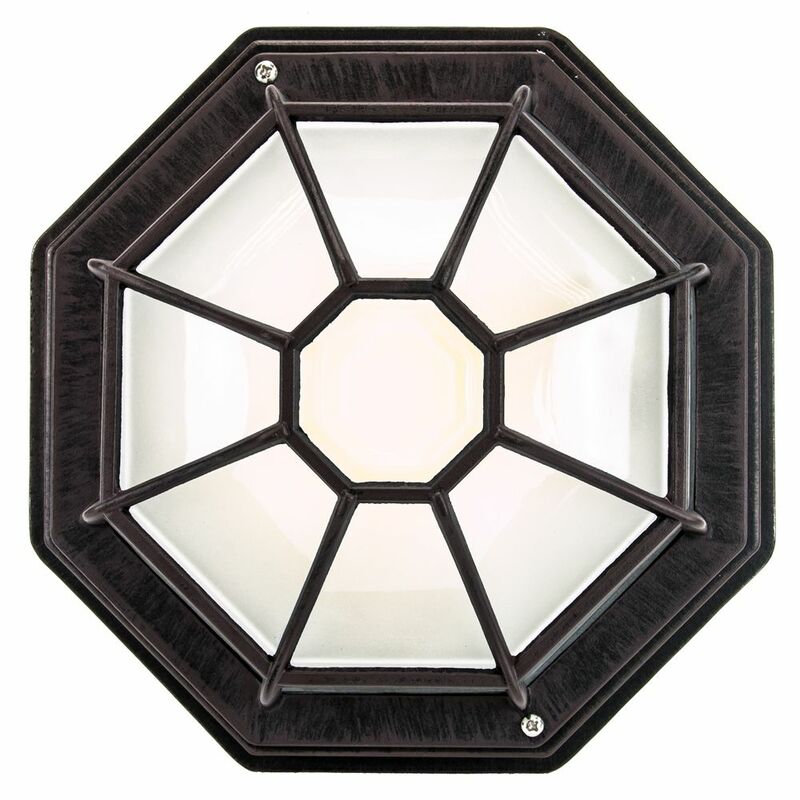 Solid cast aluminium frame with frosted glass diffuser shade. Total product measurements are: Height: 13cm, Diameter: 27cm.